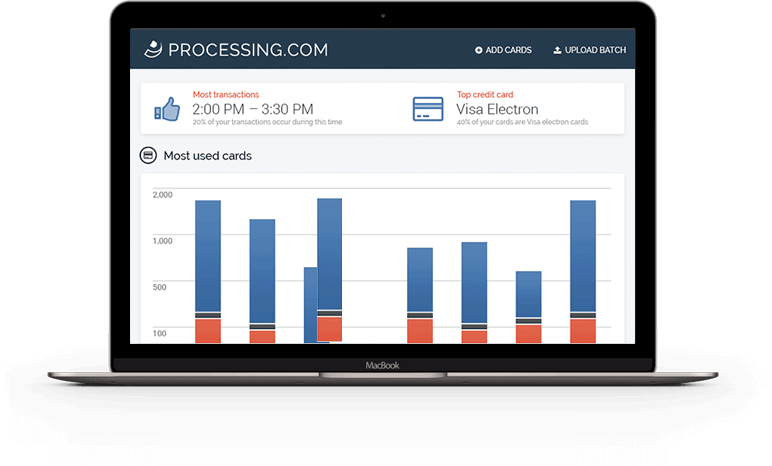 Processing.com is a Payment Card Industry Data Security Standard (PCI DSS) Level‐1 Certified Provider. Robust technology and a commitment to continuous improvement are at the heart of our operations. Together, these core values define the way that our departments interact and precipitate highly customized systems tailored to the needs of our staff, partners, and clients. but are united by their exceptional talent and passion for technological innovation. This "dream team" works closely with department heads to ensure that their efforts are not only cutting‐edge, but also satisfy the requirements of all involved parties in the most user‐friendly fashion. The result is a highly modular network of platforms that allows account managers to further refine operations down to a client level. (CDP) that ensures that our systems evolve with new developments in technology as well as our banking partners, gateways, and merchants. In a rapidly changing industry such as ours, every system has an expiration date. Knowing this, we've built an infrastructure to allow for seamless upgrades. Our dedicated staff is quick to recognize trends and the CDP encompasses a feedback loop that ensures these trends are acknowledged and addressed, spurring our eager software engineers into action once again. Mail Order/Telephone Order (MOTO) and keyed transactions can be seamlessly routed through our virtual terminal and secure web API. Like our e‐commerce solution, this option also provides granular reporting, risk and fraud management controls, and assurance against disrupted services. Through our straight‐forward reporting interface, clients can access in depth performance data, drilling down to a granularity of his or her choosing. The ability to generate in‐depth and insightful reports is an essential but often daunting task. We've met this challenge by providing clients with the ability to view performance stats (authorizations, captures, purchases, reversals, refunds, retrievals, chargebacks, etc.) at an account or at a Merchant ID level. 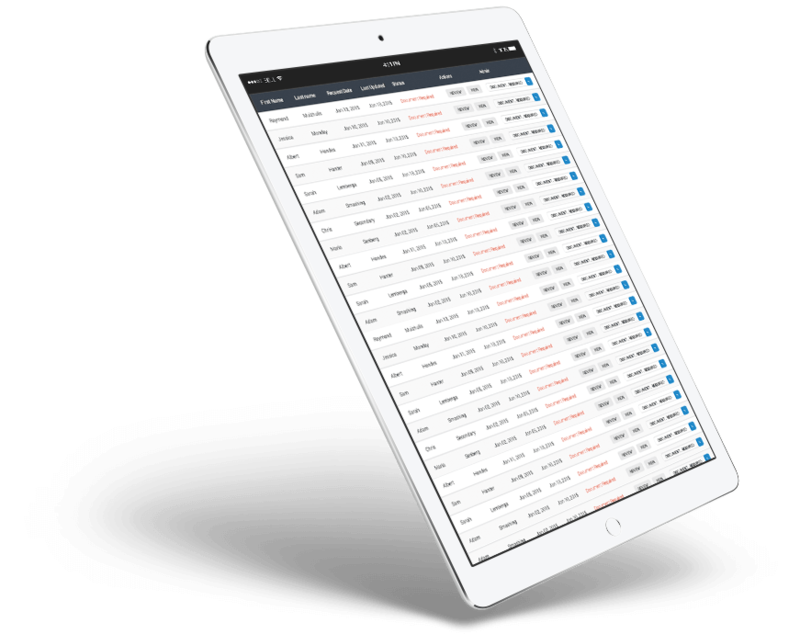 Our reporting system even allows clients to see when a transaction has been cleared by the acquiring bank, all in a user‐friendly interface. The unmatched flexibility of our fraud configuration interface coupled with the experience of our seasoned Risk & Fraud Management Team allows for robust and customized protective solutions. Our experts use tools developed in-house to monitor fraud data, chargeback trends, and processing and refund limits. Additional controls can be put in place to account for transactions based on country of origin and other variables, depending on our client's needs. At Processing.com, we know that timely and accurate information is essential to decision making. We also know that today's merchants are active and mobile and often need information on the fly. To that end, we've made reporting more accessible with the Processing.com mobile app. Access your daily processing volume or select your own date range. Drill down further to monitor your chargebacks, refunds, and credits. Agents can also view their merchants' activity. Ask your account manager for details.